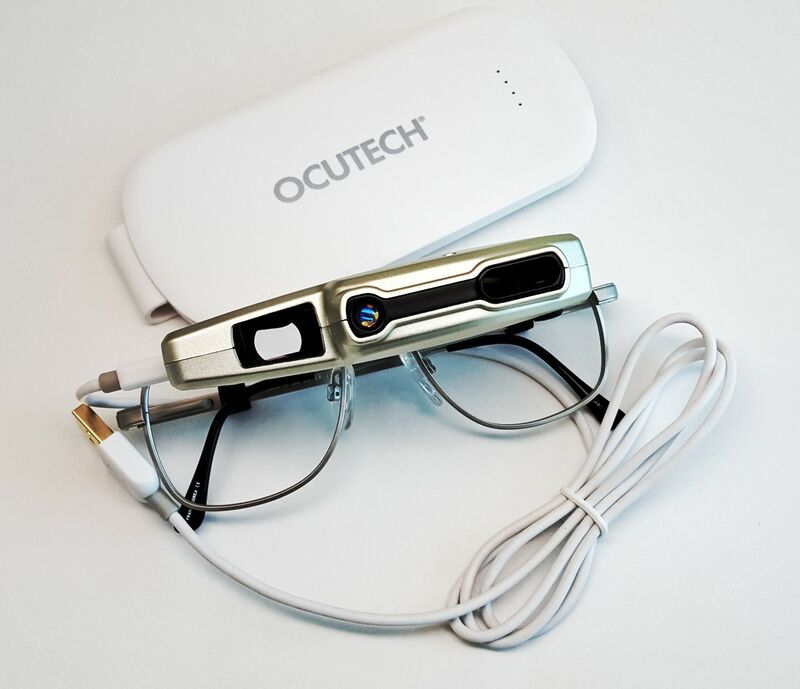 Bioptic Low Vision Aids for the Visually Impaired - Ocutech Inc.
Ocutech bioptics can help you see better, stay connected to those around you, and maybe even let you drive! 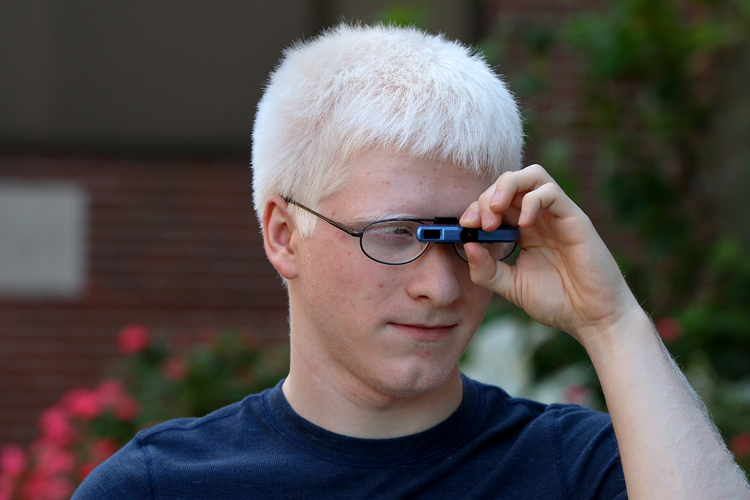 Ocutech wearers tell us, "They've changed my life!" Learn how bioptic telescopes can help you see and do things you may have never thought possible. Maybe even drive! Ocutech bioptics can change your life! Individuals of all ages with eye conditions that reduce central vision can benefit from bioptic telescopes. Find out if bioptics are right for you, a friend, or family member. How do I get an Ocutech bioptic? Ocutech bioptics are prescribed by low vision specialists throughout the world. Visit your low vision specalist or contact Ocutech for a referral. Are Bioptics Right For Me? The next generation of the world's only autofocusing bioptic, the VES-Falcon, has arrived! It provides the most natural, easiest to use magnified vision possible. From 13" (0.3m) to optical infinity, wherever you look the image will be clear immediately. All the user has to do is look! The VES-Falcon will operate for approximately 8 hours using its separate rechargeable USB battery, and weighing only 3.2 ounces (90g), it's comfortable to wear all day long. It can be used for all bioptic telescope applications. The VES-Falcon's wide-field 12.5 degree, 4x magnification is appropriate for individuals with vision of 20/300 (6/90) and better. It's available in black and silver colors. Users tell us "It's amazing!" Read about bioptic driving studies funded by the National Eye Institute and featuring Ocutech Bioptics and Ocutech's co-founder, Dr. Henry Greene. Read about Albinism and how bioptics can help in the classroom, at work, and maybe even to drive! Read more about albinism and how bioptics can help. Check out our bioptic simulator here! Ocutech Wearers and Prescribers Say It Best! My daughter loves the vision that the Bioptic Lenses bring to her. I hope you are doing well ? My colleagues and I have been working with your different telescopes for the last year with our low vision patients and we have had great success ! Thank you very much! Have a great day ! We just received the new Explorer bioptic. What a beautiful telescope!! Thank you for my sample – I’m sure we will prescribe a lot of them. And, I’ll order another sample for my other office. Good job and thanks! My job involves data analysis so I am exposed to a massive amount of data that requires sophisticated visual skills to master- with the help of my Ocutech bioptic, I was able to perform my tasks without a problem. My Ocutech bioptic has helped me read/watch video presentations, movies, road signs and nature seeing. “It felt like an absolute miracle because it was miraculous I could see clearly,” she says of the day she first used the Ocutech. “Just to be able to see scenery, the highway, the signs, and know where I was that day driving back from Asheville was a miracle to me. I can see again and to know who I am talking to is absolutely wonderful. Everything I could have hoped for! And, I’m an engineer! Ocutech is helping folks in India! In college and driving, too!